We are offering a unique opportunity to teens with an interest in learning web development who also want to give back to their community and practice creating applications that are used by real businesses. Students will learn to build a website from scratch by creating a real-life website that is to be used by a business/charity for their day-to-day activities. See below for more information about the charity. Prerequisites: no programming experience required; ages 13 - 17. Develop a website for a real business. 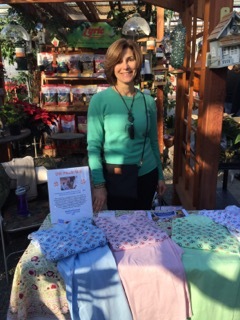 OM Sleepwear is a non-profit organization that makes 100% high quality cotton pajamas. Their sleepwear is manufactured in the South Indian state of Tamil Nadu. The state of the art factory is located in the Madurai district where the workers are treated lovingly, with respect and care. Learn the basic theory necessary for building a website while contributing to a real business and supporting your community, which is always in need of more software developers.